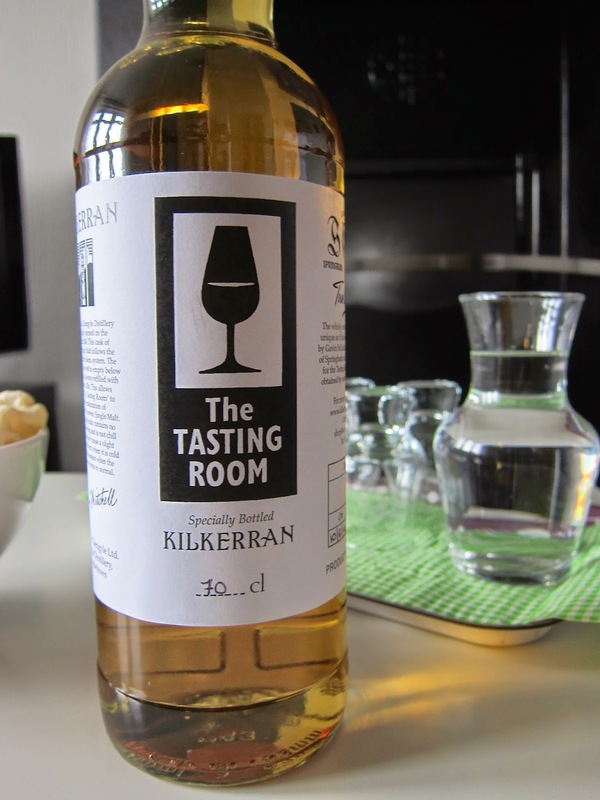 Kilkerran "The Tasting Room" Bottle (60.2%): This is the bottle we chose with other Springbank Whisky School participants to sip together when we came back from the distillery back to our lovely B&B every day and waited for Angela to prepare the dinner for us. It is bottled from a cask in the Cadenhead's Whisky Shop in Campbeltown. The cask has an odd story... I don't know how accurate it is to call it a "solera" cask like on its label but it is based on a similar idea. They started to fill the cask in 2004 and never allowed it to go lower than half. Every time when they needed to fill it up they used whisky from an ex-bourbon cask maturing in the warehouses filled in 2004. 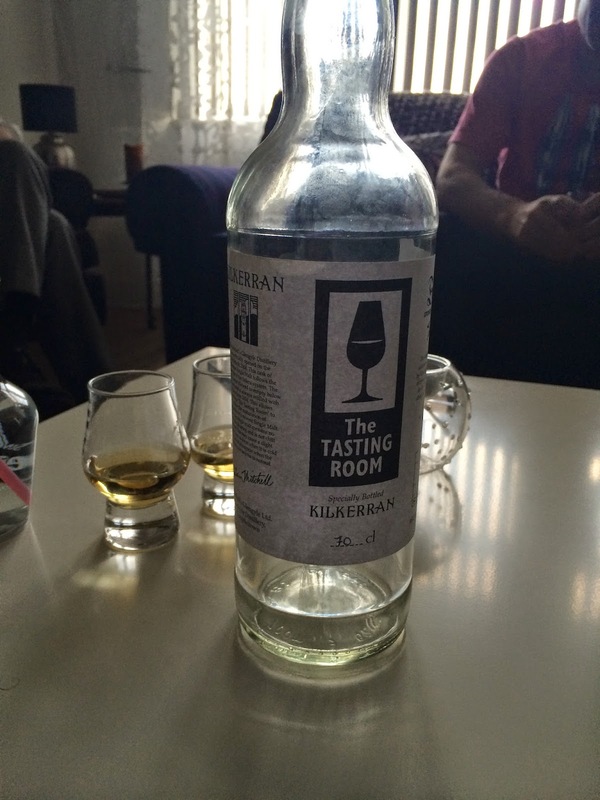 So, instead of a single cask 10 yo ex-bourbon barrel Kilkerran what we have here is again a 10 yo ex-bourbon barrel Kilkerran but coming from different barrels and from different years. Are you still with me? Let me try to give you the quick explanation: The barrel in the tasting room is not an active cask and therefore is not maturing the whisky like a cask in good shape in a warehouse. Because of that the young whiskies put in there in earlier stages of the process never had a chance to mature like the ones in the warehouses. So, we should have a much vibrant and aggressive whisky here. Believe me, it took two days and six whisky geeks to decipher the label... A big hurrah to Jens, Wim, Kohei and Freddy for their contributions in the tasting notes..! Color: Pale yellow. Unoaked Chardonnay, lemon chiffon. Nose: I am afraid first whiff carved my nostrils... Very hot and bitter: Fresh squeezed lemon juice, fresh cut pineapple and paper glue. Adding water works like a magic though. It is still very citrusy but sweet and aromatic now. Yellow gummy bears, kumquats and bergamot zest jam. I am also getting some dry turf and clay dust. Palate: Without water it is very muted. Lemon peel, hard lemonade and coconut flakes. After a generous amount of water the layers show up. Sweet pink grapefruit and diner style lemon meringue pie. Grass decaying under summer sun after being cut the day before and left on the lawn. Finish: Pretty long. White pepper, lemon zest and Ricola lemon-mint cough drops. Overall: Although it tasted like a very young whisky the whole time I really enjoyed the ride. Also for a price tag in low thirties (£) I have to say this bottle was a bargain. Especially if you knew how much water we had to use to open it up you would agree with me. We almost doubled its volume at the end.